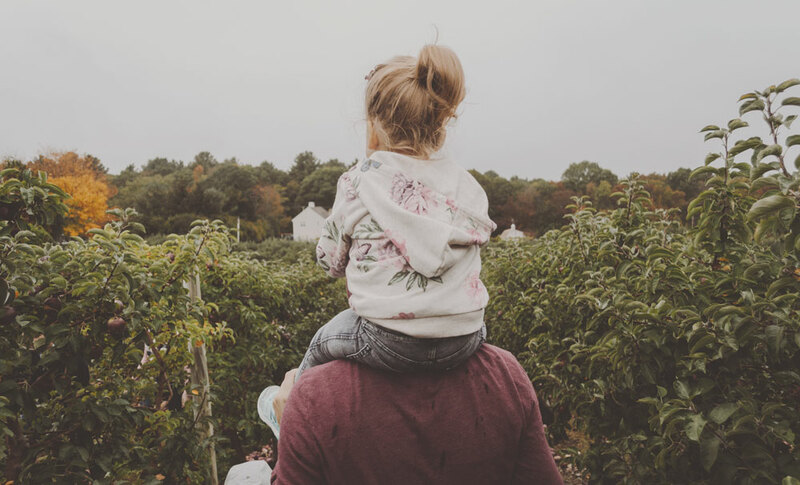 Attachment experts have discovered a child’s attachment to their father significantly impacts their sense of mastery, play, and competency in the world. More specifically, a father impacts how his daughter senses she will be received by the outside world. Thus, how our fathers relate to us can have a profound impact on our body image and sense of security in our body shape. Exploring this relationship and how it has affected you, can provide empowering knowledge in your recovery. One way to explore this relationship is to remember and journal your sense of how your father saw you growing up. Imagine yourself as a little girl, a teenager, a young adult. If your father were to describe you to others, what words would he use? What tone of voice would he use? Is he proud of you, ashamed, angry, indifferent? Do his words change as you get older, and if so, how? How does he feel about the choices in your life? How does he feel about your appearance? After you have journaled, notice the messages both verbal and non-verbal that your father gave you. Was he consistently proud of you, or was there another theme? How much focus did he put on your appearance? Did you feel celebrated, seen, and known by him? Make a list of all the messages, both spoken and implied that your father communicated about how he felt toward you and your body. Attune now to how did this affect you? What was your response? Were you always trying to please him, or did you rebel? How did this impact how you felt in your body? How do you feel in your body now? As you attune, this can give you a lot of information. So, for example, if your Dad would have stated “This is my daughter, Alice, she could be so pretty if she just lost weight”, the message might be “I need to be thin to be acceptable”. A response might be to maintain rigid control with food to never gain weight. If your Dad stated, “This is my daughter Alice, she is beautiful, smart as a whip, resourceful, loves well, and is tough as nails”, the message might be “I am enough, I can attract others”. It might feel easier for her to trust herself that she can make good decisions which could include when and what to eat. If in participating in this exercise, you have discovered that your relationship with your Dad has played a part in your body image struggles, I salute you. You have just done some good hard work at naming a part of your body image narrative. Oh, how I wish I could be there with you right now, hear your story, and journey with you. Your story is significant. We cannot heal if we do not know what we are healing from, and your identification is a huge step. You are now free to separate from any harmful messages you received from your Dad. One helpful way to do this is to write a no-send letter to your Dad. Write out how you feel about the body image messages he communicated and get specific using the exercise above. Healing is in the details. Write down the messages you wished he gave you, the messages you plan to let go of, and any new and kind messages you plan to believe and receive. Take your time, lean into this, and give yourself the gift of presence and self-care as you write the letter. After you write the letter, you can share it with safe people, share it with your therapist, share it with your dietitian, tear it up, or burn it. Do what would most honor you on this journey. Stay on the brave journey and become unapologetically yourself (body included). Alice Baker, MS, RD, CEDRD, LDN has 20 years’ experience in the field of Eating Disorders. Due to her own recovery and the freedom she found, she was passionate about eating disorders from the beginning; therefore, did her field work in eating disorders and presented her case study on Anorexia Nervosa. Alice has served clients with eating disorders through the full spectrum of care from inpatient to outpatient. Throughout, her passion grew into creating structure for her clients to heal. This includes creating nutrition protocols for multiple eating disorder programs. Alice currently sees clients in private practice in Orlando, Florida, facilitates support groups, presents regularly on Eating Disorder topics, and supervises new dietitians in this rewarding field. In 2016, Alice obtained her Master’s in Counseling to empower her to also come alongside individuals therapeutically as they courageously look at their stories and walk the healing path. Visit her website.